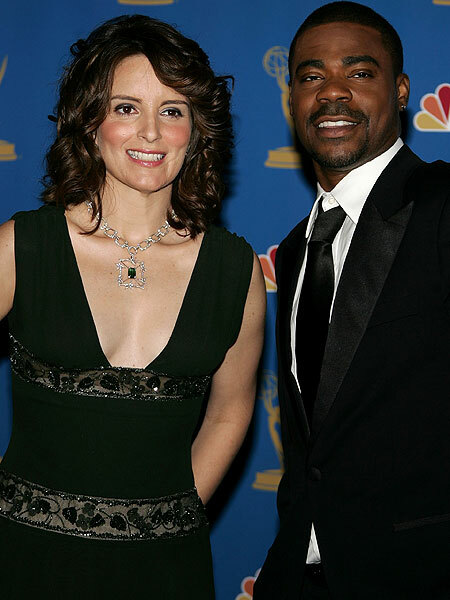 Actor/comedian Tracy Morgan's homophobic rant during a stand-up routine in Nashville Thursday "was disturbing" to his "30 Rock" co-star Tina Fey, but she comes to her friend's defense. In a statement to TMZ, Tina said she's glad Morgan sent out a formal apology, but explained, "The violent imagery of Tracy's rant was disturbing to me at a time when homophobic hate crimes continue to be a life-threatening issue for the GLBT Community." Fey continued, "It also doesn't line up with the Tracy Morgan I know, who is not a hateful man and is generally much too sleepy and self-centered to ever hurt another person. "I hope for his sake that Tracy's apology will be accepted as sincere by his gay and lesbian co-workers at '30 Rock', without whom Tracy would not have lines to say, clothes to wear, sets to stand on, scene partners to act with, or a printed-out paycheck from accounting to put in his pocket." NBC Chairman Bob Greenblatt also weighed in, saying the network has warned Morgan about the incident. "Tracy's comments reflect negatively on both '30 Rock' and NBC -- two very all-inclusive and diverse organizations -- and we have made it clear to him that this kind of behavior will not be tolerated."